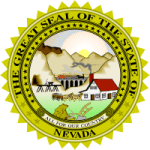 Nevada, officially known as the Silver State, is known by many other names such as the Battle Born State and Sage Brush State due to many reasons. Nevada is one of the largest states of US and ranks 7th in the list. At the same time, it enjoys being one of the least populated states of US. Nevada features high per capita income and has a highly developed economy. Born of Blood and War, Nevada State is 4th largest producer of Gold in US. It is also known for its nuclear testing site and is a hub of casinos and many bet houses. This is one major reason behind high unemployment rate in Nevada. The economy stay is mainly on the mining industries, cattle ranching and revenues from gaming hotels and places. Educative institutions are the top employers in there. Nevada Board of Nursing is an administrative board, which was formed after the obligatory enactment of Nurse Practice Act in the state. Nevada Board of Nursing provides valuable information about the Nevada Nurse Practice Act and standards that must be maintained for nurse practicing in Nevada. Licensing and Certification of the licensee and applicants in state is regulated by the nursing board. It is a government based organization, aimed to regulate nursing laws in the state. It has 7 board members, elected by the governor and 24 staff members, who collectively work to safeguard public health and welfare. Adopting certification exams and approving the nursing programs are important parts of the Board’s responsibilities. Consumers and Customers are also inseparable part of the service while calculating the efficiency and standards of service. A consumer member is selected in each board to review the consumer’s side in board meetings. What are the responsibilities of the Nevada Board of Nursing? Board has to fulfill several responsibilities related to public safety by enforcing & regulating safe nurse practicing in the state. Enforcing the Nurse Practice Act and other mandatory nursing policies in state. Reviewing the nursing programs and maintaining the records of information about the various education programs in state.